Nissan has been working on Brain-to-Vehicle (B2V) technology, which enables a vehicle to interpret signals from the driver’s brain, with the aim to speed up reaction times. This development will also lead to cars which will continuously adapt to situations in order to make driving more enjoyable, the company said. “When most people think about autonomous driving, they have a very impersonal vision of the future, where humans relinquish control to the machines. Yet B2V technology does the opposite, by using signals from their own brain to make the drive even more exciting and enjoyable,” said executive vice president of Nissan, Daniele Schillaci. Claimed to be world first of its kind, Nissan says its B2V technology can take action between 0.2 and 0.5 of a second faster than the driver by anticipating intended movement, for actions such as steering or decelerating while remaining mostly imperceptible. 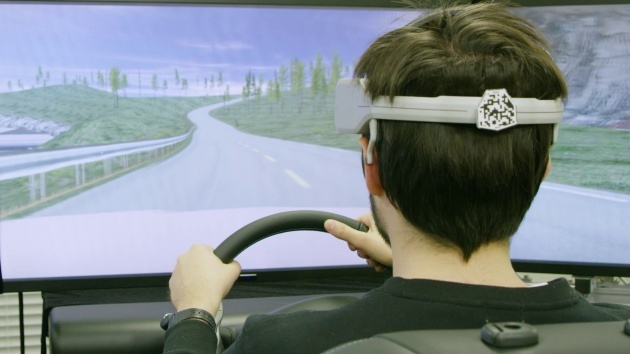 Nissan’s research into brain decoding technology enables breakthroughs in predicting the driver’s actions and detect discomfort, with two key stages. First is to predict, which the system does by catching signs from the driver’s brain that a movement is about to be initiated, which will call the driver assistance systems into action more quickly. Second in line is detection, which summons artificial intelligence to detect and evaluate driver discomfort and change driving configurations or driving styles accordingly when operating in autonomous mode. Other possible uses include adjusting the vehicle’s internal environment, said senior innovation researcher at the Nissan Research Center in Japan senior innovation researcher at the Nissan Research Center in Japan. Nissan will have a driving simulator to demonstrate certain elements of the technology at CES in Las Vegas this year. hahaha…. so many brainless drivers in MY… tapping to the brain will get the car kuku..
Agree. 1st they must fix a chip to block them from driving in Emergency lane. Next Post: Volvo XC40 to make its Malaysian debut in Q3 2018?